Do you need Skip Bins Manly way? Garden clean up, renovating or clearing up the spare room for a guest – all good reasons to have your Skip Bins Manly specialists on site. We deliver directly to you and take all the unwanted trash out of sight. Skip Bins for Brisbane offers a same day delivery service (when available) for rubbish removal to all Brisbane suburbs at affordable prices. 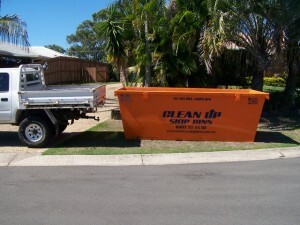 Let the team at Skip Bins for Brisbane deal with your rubbish removal efficiently. Don’t let your rubbish fester in your backyard when with one phone call you could organise to have it all taken away. Old junk, garden waste, building materials and even old mattresses – we can look after it all. Our skip bins come in a variety of sizes including 4 and 6 cubic metre bins (with options of 8, 10 & 12 cubic metre combinations). Customer satisfaction guaranteed from Skip Bins for Brisbane – an environmentally approved rubbish removal solution. Complete customer satisfaction is important to Skip Bins for Brisbane. Our commitment is to provide quality and reliable customer service at all times. We guarantee we will arrive with your skip bin when we say we will and we will also pick up the filled bin when you need us to. Hard rubbish can be difficult to get rid of but with a Skip Bins Manly delivered, you can rest assured that your old junk is removed and disposed of efficiently. Garden waste, garbage, mattresses, general waste – we can deal with it all. Waste removal isn’t always top of mind until you need us. Skip Bins for Brisbane offers regular services for builders and construction sites and excellent one off rates for residential properties. Remember our name and get your rubbish removal organised quickly and efficiently. 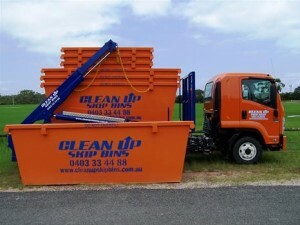 Call Brett on 0403334488 to hire skip bins from Skip Bins for Brisbane.